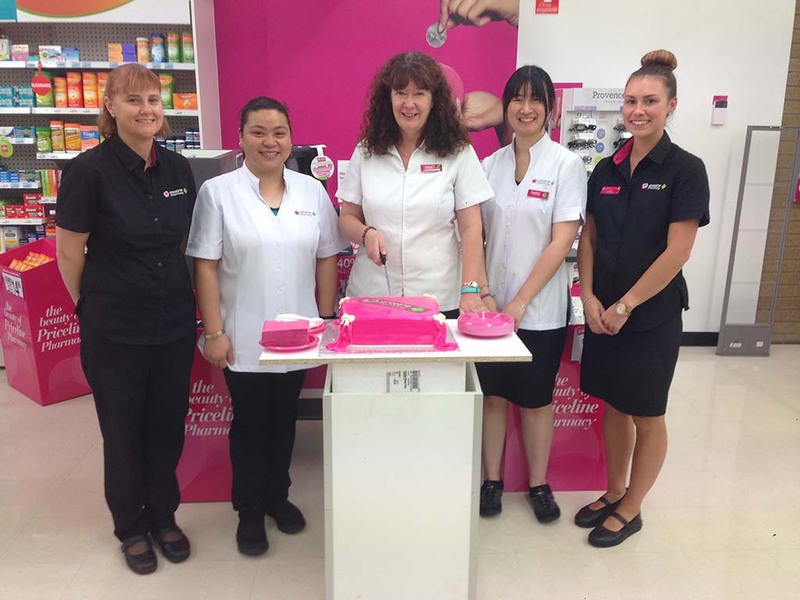 Balwyn North Discount Drug Store has been serving the local community and beyond for over 30 years. The pharmacy is run in partnership between longstanding member Gideon Gun and David McConville. Yet Shen Khor (Yetti) joined the pharmacy partnership in 2012 coinciding with rebranding of the pharmacy to the Discount Drug Store banner. The pharmacy works with a dual offering model for the local community– community pharmacy and medication management for aged care. Their medication management business is managed and run from the same premises as the pharmacy; ground floor dedicated to the pharmacy and the first floor to medication management. The medication management business employs four full-time pharmacists, six pharmacy technicians, a couple of admin staff and five drivers in addition to the pharmacy staff. “This pharmacy has always punched above its weight! Given the location, it services a large number of people” says David, who has been with the pharmacy since 1998. “Providing quality healthcare services to the local community and to aged care facilities is our priority” says David. David’s role with the pharmacy is to run and manage the medication management business with Gideon. Yetti looks after the community pharmacy and works closely with the banner group. “My focus is to provide the best in medication management for residents in aged care facilities and that certainly is not a 9-5 job!” says David. As part of their commitment to aged care facilities and residents, nursing staff has access to their on-call pharmacist’s mobile phone number. “We are available 24-7 when the nurse needs us” says David. “Rural is a bit of a lifestyle choice, more than anything else” says Fiona. “You have a steady customer base that you see very often and get to know them a bit better than you would in a metro” she adds. “The biggest benefit is that it takes only 5 minutes to get to work!” she smiles as she goes on to talk about the benefits of working in a regional area. “Another benefit of a regional pharmacy is that I don’t pay as much in rent so I can afford to employ more staff” elaborates Fiona. “I’m a very hands-on owner of the business, so I’m at the pharmacy everyday and I know if things are getting out of hand. Things get slightly harder for absentee pharmacy owners who don’t actually live in the local community as they don’t understand the real needs of the community” says Fiona. New workflow bringing in efficiencies and keeping the customers happy! 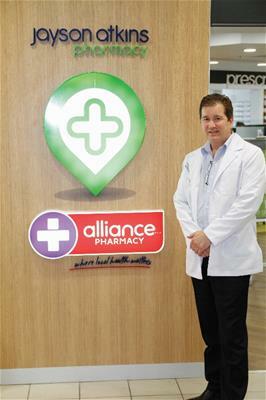 Jayson Atkins pharmacy is located in a shopping centre off Keilor Road in Niddrie. 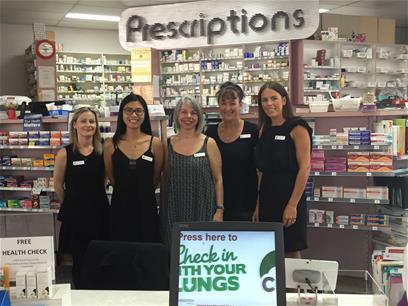 The pharmacy is located in the shopping centre since November 1993 and has recently undergone renovations to keep pace with changes in the industry and to better serve its customers. The local community of Niddrie has been an essential part of Jayson’s upbringing and he remembers playing at the old ANZAC hangar site – where the shopping centre was eventually built in 1993. “It’s all about working in the community. I’ve known everyone since I was a child. It does make your work a lot easier” he smiles. 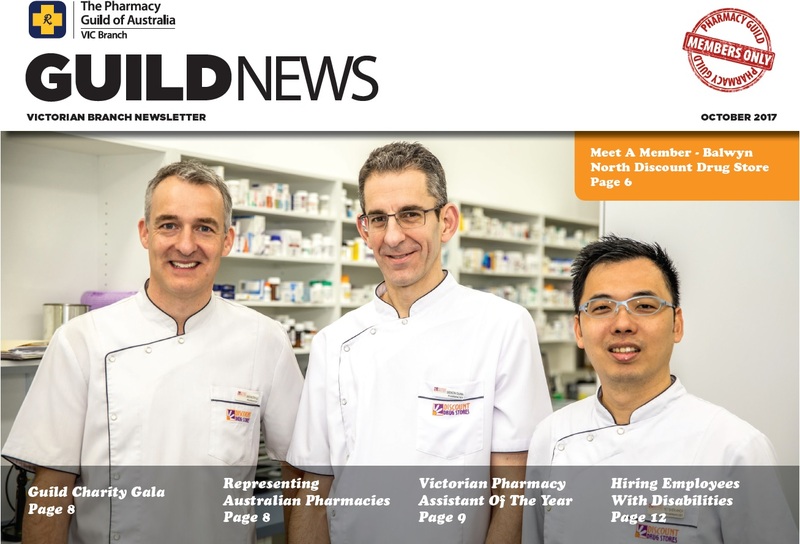 The recent renovations at the pharmacy has not only given the pharmacy a face lift but has lent a better workflow resulting in greater efficiencies in the pharmacy. The new fit-out is bright and inviting with an open feel throughout the pharmacy. The pharmacy has comfortable seating areas for customers who want to wait while their prescription is being dispensed or just sit down to have a conversation. There is also a separate private consultation room for having those important one on one consultation with the pharmacist while maintaining privacy. At any point in time the pharmacy has three pharmacists, one pharmacy assistant and a shop manager. “This means that every time a patient walks into a pharmacy, he is more likely to get a pharmacist come out and talk to him face to face” explains Jayson. “Supply has always been a core function of pharmacists,” says Jayson. “But new programs and services offered via pharmacies today is moving pharmacies from merely being supply to the next level and beyond. As a healthcare professional we spend a lot of time at the backend trying to ensure that the supply logistics run smoothly right up to the point where medicines are labelled and delivered with the correct advice for the patient. If pharmacist can afford to focus less on maintaining the supply and focus more on engaging the customers, a lot can be achieved” elaborates Jayson. With a focus on professional healthcare services, Dimitra and Jane provide products and services to people from a varied ethnic mix that live in Ascot Vale. “Our emphasis is on health issues and care rather than on retail and non-health products. Our staff are locals or from local origins and some speak Italian, Greek or Spanish” adds Jane. “We promote quality use of medicines by providing information and advice and by offering a full range of professional pharmacy services to ensure the best health outcomes for the customers” says Dimitra. The professional services available include MedsCheck, Sleep Apnoea testing equipment hire and sales, DAAs, HMRs, Full health checks, Pharmacotherapy programs and many more. The pharmacy is also an approved sleep study centre which is a home based study and eliminates the need of going in to a hospital for a sleep over. The GP can refer a client for a sleep study to detect and diagnose sleep disorders and appropriate therapy. Guild Care platform is used by the pharmacy to record all their consultations and medical records for patients. Talking about the constantly evolving pharmacy landscape, Dimitra says “We have always been aware of the changing nature of pharmacy and try to be proactive rather than reactive.” Dimitra has worked with the PSA and the Guild on various councils and committees. Both Jane and Dimitra say that they try and remain focussed on finding innovative ways to provide health care services to their local community. Dimitra and Jane have been part of the community for very long and have long term staff that are focussed on social engagement with customers and make a difference in their well-being. “We have a very significant role to play in primary care and most certainly are the first point of contact for many of our regular customers” explains Dimitra. “Pharmacy is a focal point of so many people in the community. Not everybody has a point of contact where they can go and discuss their health issues. We have so many people from the community who walk-in to our pharmacy just for a casual chat about the issues they have – it has a mental and social aspect to it. None of this is documented or paid for by anyone! This role of pharmacists is a very crucial role and must be recognised and rewarded” expresses Jane.